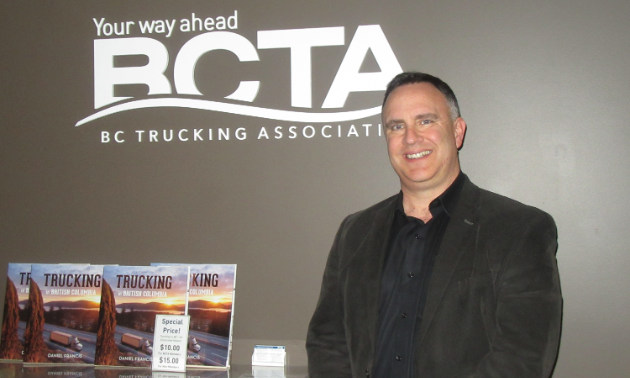 The BC Trucking Association (BCTA) has a new president, Dave Earle. 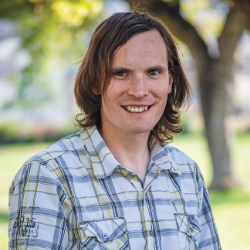 Earle has an eclectic background that spans the gamut from VP of human resource services and government relations for construction labour relations, to ministry of labour executive director and even a five-tonne truck driver in the Lower Mainland. He’s bringing his wide assortment of skills to his new position and aims to take the BC Trucking Association into the future, however that future might play out. What is your priority as you take on this new role? What’s really important for me is addressing an emerging demographic shift/driver shortage issue. Like all industries, we’re heading into a time where a lot of people are aging out. The shortage of drivers in our industry is a problem now and I see it becoming worse. First and foremost, we have to do a better job of engaging our communities. That includes the young, underemployed person, someone who’s 20 or 22 years old working part time at a minimum wage job, and say “No, no, there’s something else to do.” It’s engaging aboriginal communities, women and our non-traditional sources of labour. That’s where we have to start. What do you do in the meantime with the shortages? Because we represent several hundred different employers across the province, they’re very unique in their approaches. 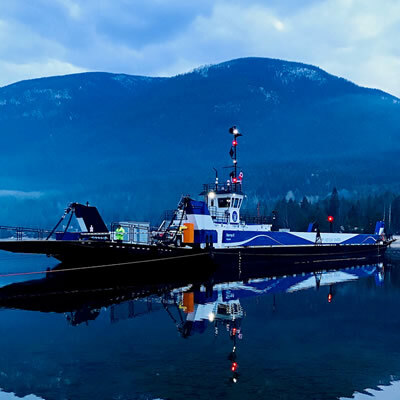 The need for a local point-to-point courier is different than a long-haul bolt carrier, which is different than an intra-provincial general freight carrier. They all have those different needs and they’re trying to find some commonality between them and leverage those while recognizing that one size does not fit all. We’re not going to come up with one solution that works for everybody. How is the industry adapting to meet the needs of its employees? Trucking, particularly as an operator, can be a lonely job. Some people crave being alone, but not many like being away from family on the road for four nights. There are ways that companies are adapting to that and staging their work so that individuals aren’t away from home as long. You’ve seen placards on the back of trucks that say “Now hiring. Home every night.” Companies are changing their business models and adapting them to meet that need for drivers. 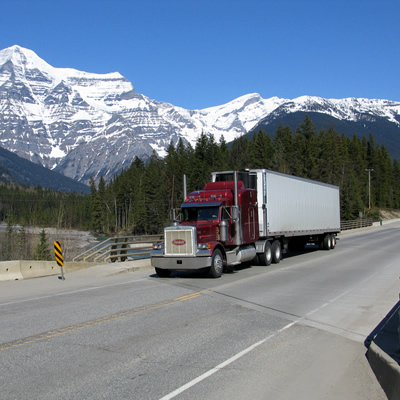 What makes up the majority of the goods that the BC Trucking Association transports? It’s soup to nuts. When you look around your office, room or house, over 90 per cent of what you see came from a truck. It’s that diverse—everything from furniture to produce. What are some challenges that are unique to B.C.? There is more growth in this industry than we could have anticipated a few years ago. One of the key challenges that we have in the Lower Mainland in particular is a shortage of industrial land. There’s no land available, literally, for companies to set up shop. It’s causing a huge pinch on productivity. The port of Vancouver moves more freight than all other ports in Canada combined. It’s a world leader. It’s a massive undertaking. We do a small part of it. All of that activity is increasing. It’s amazing when you look at the amount of stuff that’s coming. Looking out at the broader resource industry in other areas of the province, are we at a point where mills are curtailing production because they can’t get it to market? No. Not yet. Are we going to get there? We’re going to try really hard not to. Self-driving vehicles are rising in popularity. Does the BCTA plan to utilize this technology in the near future? Can we simply have a non-manned, no-person-in-the-cab, vehicle going high speeds down the freeway? No. We’re not there yet with technology. But I would never bet against technology. That’ll come. The real question becomes societal acceptance. Is Mrs. Jones happy to be driving down the highway being followed by an automated vehicle that weighs 10 times more than her vehicle doing 100 kilometres an hour? She’s not there yet. Surveys show that three-quarters of people aren’t comfortable with that level of technology. Remember, about five years ago, not many people were comfortable with buying stuff online. And now Sears is out of business. When it changes, it changes quickly. Are we going to reach a point in this industry where we no longer have drivers because it’s all automated? I just don’t see it. Point-to-point? Sure. Terminal-to-terminal? Absolutely. What are some examples of tasks human truckers can do that automated ones can’t? Last year, during our big forest fire season, a bolt carrier gets a call from the Ministry of Forests, (Lands, Natural Resource Operations + Rural Development) that says “We need 20,000 gallons of jet-A delivered 80 kilometres down forest service road 326.” That’s not something you can have a programmed unit do. Really heavy winter driving—again, very difficult. What positive trends and opportunities do you see happening in the trucking industry? The breadth of careers that are available is really interesting. The person planning the logistics, setting loads, doing the dispatch, all that work still needs to get done. We’re like every other industry that looks at change that’s coming. We don’t even know what the careers of the future are yet. What we’re doing today is going to change and evolve. It’s a really exciting time for people to come into that type of industry. There are always going to be opportunities for career people to make very good livings driving commercial vehicles.